Log in and manage your account. Know more about your bills and how to pay them more efficiently. Why do I have pro-rated bill charges? No more waiting. No more buffering. Learn more about our Internet products! Stay entertained day in and day out. Surf through what we have in store for you. Get all the tools for a well-connected home. Here are the quick links about the country's pioneer and most trusted landline service. Fibr is the most advanced internet service in the country. It's the only internet service that lets you and your family experience high-speed equal upload and download speeds because it runs through fiber optic cable technology! That means with Fibr, you can enjoy all the movies and shows on iFlix, Netflix, Fox+ and iWant TV in HD. It also means you can play all those multiplayer online games without worrying about delays or lags! What is the difference between Fibr and DSL? How is Fibr better than cable internet? What is the difference between Fibr and a Wireless Broadband service? Both PLDT HOME Fibr and our wireless internet service PLDT HOME Ultera, can provide for the different needs of every family. Fibr is great for families who are into streaming movies, downloading music, and playing games online because it can provide high speed, equal upload and download speeds. For those families who use the internet for browsing, school research, social media, and are budget conscious, PLDT HOME Ultera would be the best choice. Is Home Fibr available in my area? We have expanded the reach of our Fibr facilities nationwide. When you submit a service application in our online shop, you can check if our Fibr facility is available in your area. Make sure you enter your complete address including your barangay so we can check for PLDT Fibr facilities. In some cases a physical survey by our field engineers is necessary and we will keep you informed throughout this process. I heard about the Whole Home Wi-Fi, what is it? The Whole Home Wi-Fi is a Fibr Plan add-on that will allow you to have seamless wireless connection throughout your home through the installation of a TP-Link Deco M5 — a device set up that will enable network sharing across a large area with out deterioration of your internet speed. This is perfect for homes with large area and multiple rooms to allow you to enjoy your Fibr-fast internet. Apply today through via our online shop via https://pldthome.com/fibr. If you are upgrading your service your application is subject to existing credit policies and account validation within 24-48 hours. I am an existing DSL/Telpad subscriber, can I apply for Fibr? Yes you can as long as we have an available facility to serve your address. You can request for an upgrade online. Simply choose your preferred plan and click on the option to upgrade. You will not have data connection once you consume your monthly volume allowance until your monthly volume is refreshed on your next billing cycle. You will be redirected to an online portal where you can reload your data. You will also receive a pop-up to remind you of your data consumption once you reach 70%, 90% of your monthly data allowance. I am a Speed Plan subscriber, where can I check my remaining data allocation. You can check your monthly data usage using your myHome account. If you don't have a myHome account yet, you can create one at http://my.pldthome.com. This will allow you to check how much of your monthly data allocation has been consumed, avail of volume boosters, and manage other account details. What is PLDT HOME DSL? PLDT HOME DSL is an internet service that can provide you and your family with a strong reliable connection. It's a family-sized connection, meaning all members of the family can be connected at the same time. It can also provide you with the high speed that you want. Learn more about the plan that best fit your preference. Visit our online shop via https://pldthome.com/dsl. Apply today, visit our online shop at https://pldthome.com/dsl. You will not have data connection once you consume your monthly volume allowance until your monthly volume is refreshed on your next billing cycle. You will be redirected to an online portal where you can reload your data. You will also receive a pop-up to remind you of your data consumption once you reach 70% and 90% of your monthly data allowance. I am a Speed Plan subscriber, where can I check my remaining data allocation? How is ULTERA different from Smart Bro Mobile LTE? HOME Ultera works on TD LTE technology with an outdoor or indoor antenna and Wi-Fi Modem which is a Fixed Wireless Internet for your home. While Smart Bro Mobile LTE works on FD LTE technology and comes with a pocketWiFi which can be used anywhere where there is Smart signal. To ensure quality of service, our installers will conduct actual signal testing inside the homes of our subscribers to ensure that signal requirements are met prior to activation of your subscription. Is Home Ultera available in my area? HOME Ultera is now present in more areas nationwide! To check if Ultera is present in your area, go to http://pldthome.com/ultera and apply for any of our Ultera plans. What are the available Home Ultera Plans? We have plans that best fit your internet requirement for as low as P699 per month with speeds up to 3Mbps. How can I subscribe to an Ultera plan? Do you offer Ultera plans with unlimited monthly volume allowance? No we don't, all of PLDT HOME Ultera Plans come with a monthly data allowance. If you are looking for a plan that offers Unlimited Data, for as low as P1,299 per month, we may have a PLDT Home DSL or Fibr plan perfect for your requirement. Where can I check my remaining monthly volume allowance? What is Roku Powered™ TVolution? The Roku Powered™ TVolution is a device that will bring your family's TV viewing to a whole new level! With just the click of a button, you can switch from watching HD TV channels from Cignal, Hollywood TV shows and movies from iFlix, critically-acclaimed TV series and films from Netflix, over a billion videos on YouTube, and over 100 free streaming channels. You can change the way you and your family enjoy entertainment together. How much is Roku Powered™ TVolution? How can I avail of Roku Powered™ TVolution? You can apply online now and you will receive a confirmation of your order via email and SMS and then, our online sales processing team will handle your application within 24-48 hours.Your application is subject to existing credit polices and account validation. Will Roku Powered™ TVolution work on any TV? Yes, as long as your TV is HDMI-ready. Will Roku Powered™ TVolution run if there is no Internet? Roku Powered™ TVolution will not run without internet connection. The minimum broadband speed required is 3 Mbps. What is the difference between a TVo Stick and a Roku Powered™ TVolution? The Roku Powered™ TVolution is an over the top digital media player that allows you to stream video, music, and entertainment content into your TV while, the TVo Stick transforms your HDMI-ready TV into a full-feature Windows PC ready for web browsing and video viewing. Both devices will definitely bring you and your family's TV viewing on a whole new level! If I have an existing Cignal subscription, how will I fully utilize the Cignal bundle of Roku Powered™ TVolution? If you have an existing Cignal subscription (via IPTV or dish), you can use the Cignal bundle of Roku Powered™ TVolution if you have another non-smart TV for an additional service fee depending on your preferred Cignal Plan. If my internet gets interrupted due to missed payment, will I still be able to use my Roku Powered™ TVolution? No you can’t. You need to access the internet to enjoy your Roku ™ TVolution. To avoid missing out on your favorite shows, ensure payment has been made on or before you billing due date. Cignal TV is an add-on to your baseplan. It can accommodate both Standard Definition (SD) and High Definition (HD) TV broadcasts. The different subscription packages available have a complete mix of the most popular channels that meet your family's needs in relation to sports, movies, entertainment, news & information, and kid's channels. I am an existing PLDT Home subscriber, how can I avail the Cignal TV? You can apply online now and you will receive a confirmation of your order via email and SMS and then, our online sales processing team will handle your application within 24-48 hours. Your application is subject to account validation and existing credit policies. How many Cignal set top box can I avail with my PLDT Home Fibr plan? You can have up to three (3) Cignal TV set top box (STB) running on a single Fibr connection. Each TV will need its own Set Top Box. Will my Fibr internet speed be affected by my Cignal TV subscription? No. Thanks to the power of Fiber-optic technology, each Cignal TV connection will have its own dedicated port allocated for it ensuring best quality TV service without affecting your Internet speed. Can I watch Cignal HD channels on my PC or Telpad? No. Your Cignal set top box (STB) currently does not support direct streaming of HD TV channels to a PC or Telpad. There is no website for watching HD TV Channels. iFlix is an online streaming service with over 14,000 hours of content. This includes your well-loved Koreanovelas, Hollywood blockbuster movies and TV shows, cartoons your kids will love, and so much more! How can I access iFlix? What device can I use to watch iFlix? Watch iFlix anytime, anywhere on your PC/laptop, Tablet/Telpad, TV via your TVolution and your smartphones! How many devices can I connect to an iFlix account? You can connect up to 5 devices with your iFlix account. What are the eligible PLDT Home plans to avail iFlix? Your PLDT Home plan should have a speed of at least 3 Mbps to enjoy iFlix. Where can I see the movies line up in iFlix? The lineup is displayed in the iFlix home page http://pldthome.com/iflix. You can also download movies and watch offline. Will iFlix consume my monthly volume allowance if I stream using my Speed Plan? Yes, iFlix will consume your monthly volume allowance. Netflix is a streaming software that enables you to instantly watch content through any Internet-connected device that offers the Netflix app. To access Netflix, registration is required. Visit http://pldthome.com/netflix to register. For new users, you may enjoy your 30-day FREE Netflix trial. After the 30-day trial period, if you wish to continue the service, you may conveniently add-on the service to your PLDT Home account. What device can I use to watch Netflix? Watch Netflix anytime, anywhere on your PC/laptop, Tablet/Telpad, TV via your TVolution and your smartphones! What are your available Netflix plans? There are three (3) available Netflix plans that will definitely suit your needs. You can watch your favorite TV shows and movies using your device for as low as P370 per month. For High-definition experience, you can watch on two devices simultaneously for P460 per month. If you want an ultra-high definition streaming, you can choose Plan P550 per month and watch on four devices simultaneously. To know more, visit http://pldthome.com/netflix. Where can I see the lineup of content/movies in Netflix? The lineup is displayed in the Netflix home page http://pldthome.com/netflix You can also download movies and watch offline. Will Netflix consume my monthly volume allowance if I stream using my Speed Plan? Yes, Netflix will consume your monthly volume allowance. FOX+ is a video on demand (VOD) service that includes a range of premium content, including LIVE sports. It is an all-inclusive entertainment offering with a simple and smooth experience. What are the featured programs? Get access to your favorite shows anytime, anywhere with Fox+. Enjoy your free trial today! For more information, visit Fox+ brand page. FOX+ is compatible with iOS, Android or Web browser for your convenience! Will Fox+ consume my monthly volume allowance if I stream using my Speed Plan? Yes, FOX+ will consume your monthly volume allowance. How do I avail FOX+? iWant TV is an over-the-top platform where Philippine-based users can watch Kapamilya (ABS-CBN) shows, movies, and video exclusives on their computers and mobile devices via web browser or the iWant TV App. Can I watch iWant TV on different devices at the same time? An iWant TV account is only allowed to watch one video on iWant TV at one time. For example, if you're watching ABS-CBN livestreaming on your laptop and you start watching on your smartphone using the same account, the video on your laptop will stop playing. What internet connection do I need to enjoy iWant TV? As with any video streaming service, a good internet connection is required to enjoy uninterrupted viewing. You should have at least 3 Mbps internet speed. Will iWant TV consume my monthly volume allowance if I stream using my Speed Plan? Yes, iWant TV will consume your monthly volume allowance. For as low as P120/month you can enjoy watching your favorite shows from iWant TV anytime, anywhere. You can subscribe and register at http://pldthome.com/iwantv. What is SmartBro Pocket Wi-Fi? SmartBro is a wireless broadband service that lets you experience the power of LTE on your smartphone, tablets and other Wi-Fi devices. This service can be availed on top of any PLDT Home subscription. Am I eligible to avail the Product? All new and existing Home subscribers (Fibr, DSL, Ultera or Landline only) can avail of this add on service on top of their existing PLDT Home plan. You can choose the SmartBro Pocket Wi-Fi plan perfect for your wireless internet requirement. To add this on your existing PLDT Home Plan, you may apply online and our online shop will login to your myHome Account. Your application is subject to credit policies and account validation with in 24-48 hours. Will I be billed separately for my Smart Bro Plan? No, you have the convenience of receiving both your PLDT and SmartBro service in one statement of account. How many days/weeks should I wait for the Smart Bro pocket-Wi-Fi to be delivered? Once your application has been approved and fulfilled, the device and SIM will be delivered with in 3-5 days within Metro Manila and 5-7 days for regional areas. Note: There may be delays in delivery due to unforeseen incidents such as weather or forced majeure. What will happen to my Smart Bro plan if I terminate my main subscription? Our Smart Bro plan is considered an add-on to your main subscription. If you voluntarily terminate your main service, your SmartBro Pocket Wi-Fi subscription will also be terminated and will be subject to pre-termination policy. Once your main service is disconnected, both services (Main Line and Add On) will be disconnected. Is there a fee if I want to terminate my Pocket Wi-Fi subscription? Yes, there is a termination fee. If your subscription is with in lock-in period, we have a disconnection fee of P2,500 + full cost of unit. If you are outside of your lock-in period, the disconnection fee is only P500. How long is the lock-in or contract period for Smart Bro Pocket Wi-Fi plans? The lock-in or contract period for each Smart Bro Pocket Wi-Fi Plan is 24 months. What will happen once I consume my monthly volume allowance? Will I be billed for extra usage? You will not have data connection once you consume your monthly volume allowance until your monthly volume is refreshed on your next billing cycle. You will be redirected to an online portal where you can reload your data. How will I know my remaining monthly volume balance? You can check the monthly data allocation of your account using your PLDT myHome Account. If you don't have a myHome account yet, you can create one at http://my.pldthome.com. This will allow you to check how much of the account's monthly data allocation has been consumed, reload your monthly data allowance, and manage other account details. Can I get a replacement for a defective unit? Your Pocket Wi-Fi device comes with a 1 year warranty. If the defective Pocket Wi-Fi device is returned to a PLDT Sales and Service center within 7-days from the time of receipt, PLDT can replace the defective device free of charge as long as there is no physical damage on the device. If the defective Pocket Wi-Fi device is returned to a PLDT Sales and Service center beyond 7 days but within 1 year from the time of receipt, repairs will be covered by our supplier warranty. We will replace defective SIM cards if returned within 7-days from the time of receipt free of charge. If returned beyond 7-days, a SIM replacement fee of P50.00 will be charged. Simply go to a PLDT Sales and Service Center (SSC). Do you offer iPhone 6S plan? What are the inclusions of the iPhone Plan? Lock-in period of the iPhone 6S plan is 36 months. *Note: The iPhone 6S comes in silver, space gray, gold and rose gold. Available color is subject to units in stock. Do you offer Samsung plans? Yes. Samsung Galaxy S8 with Smart Giga Plans may be availed on top of your PLDT Home Subscription. How can I avail of Samsung Plans? Samsung Galaxy S8 is initially offered to pre-qualified subscribers but you may also avail of the Samsung S8 plan via PLDT Sales & Service Center (SSC), or online visit Samsung page. What will I do if my unit or sim is defective? You need to go to a PLDT Sales and Service (SSC) to get assistance. We will replace defective Smart Mobile SIM cards if found to be defective and returned within 7 days from the time of receipt free of charge. If returned beyond 7 days, a SIM replacement fee of P50 will be charged. Defective, Samsung S8 devices is covered by a 1-year supplier warranty on parts and services at Authorized Samsung Service Centers. Get a Mobile Certificate first at any PLDT SSC before bringing your device to the Samsung Service Center. If found to be defective, PLDT will replace the unit if it was reported within the 7 days from the time it was received. Just bring the Technical Report from the Samsung Service Center. What are the current mobile offers can I avail with my plan? My SIM is defective, can I get a replacement? Yes you can.You need to go to a PLDT Sales and Service (SSC) to get assistance. We will replace defective Smart Mobile SIM cards if found to be defective and returned within 7 days from the time of receipt free of charge. If returned beyond 7 days, a SIM replacement fee of P50 will be charged. The mobile unit I got is defective can this be replaced? Defective devices will be covered by its respective supplier warranty on parts and services. You will need to get a Mobile Certificate first at any PLDT Sales & Service Center (SSC) and bring your device to its respective authorized service center. If your device is found to be defective by the authorized service center, secure a technical report and PLDT will replace the unit if it was reported within 7 days from the time it was received. The PLDT Home Wi-Fi repeater is perfect for homes that have dead spots or areas with no Wi-Fi. It's a gadget that extends your Wi-Fi signal and lets you and your family enjoy the strong reliable connections of PLDT Home wherever you are in your home. The PLDT Home Wi-Fi Repeater is so easy to use and install. All you have to do follow the step by step guide to pair your repeater with your Wi-Fi modem. Once paired, plug the repeater into an electrical socket in the room where you want the Wi-Fi signal boosted. The repeater will mirror the signal and create a secondary network w/ improved signal strength, to which you & your family can connect to. How to avail PLDT Wi-Fi repeater? Apply online now and you will receive a confirmation of your order via email and SMS and then, our online sales processing team will handle your application with in 24-48 hours. Your application is subject to account validation and existing credit policies. How much is the Wi-Fi Repeater? Can I use multiple PCs and Laptop with this device for wired connection? Yes, you can connect up to 4 simultaneous users using ethernet cable for high speed connections. What's the use of USB ports? The two USB ports is used to connect storage drives and printer sharing. What's the use of this router? The D-Link router reduces interference and extends the range of your internet connections at home whether it is wired or wireless. How much is the monthly service fee for this device? Where can I avail this D-Link router? Do I have additional cash out to avail this router? Fam Cam is a home monitoring system that can help you watch over your family & home from wherever you are. Access real-time video feeds from your smartphones, tablets, or computers and talk to your loved ones through the device. The Advanced Fam Cam has all the features of the Basic Fam Cam plus other features like a speaker allowing you to communicate with you children if you aren’t home. It also has a pan, tilt, and zoom function and a built-in SD card slot to store video feeds. Now that is peace of mind for your home anywhere you are! How much is a PLDT Home FamCam? How can I avail of PLDT Home FamCam? Can I buy just the FamCam without an Internet Service? You can only get the FamCam with a PLDT broadband service. This is available for new and existing customers. For best results, we highly recommend for you to be subscribed to a plan with at least 3 Mbps. Choose the right plan for you and get your Home a Fam Cam to give you peace of mind! How do I get my FamCam to work? How can I access my Fam Cam via Android or iOS phones? You can download the myD-Link App from Google Play or Apple Store. Run the app, login using your myD-Link Account. Select camera and view live video stream. myD-link Cloud Services allows you to effortlessly access, view, and control your Fam Cam. You need to have a myD-Link account to be able to view your Fam Cam anytime, anywhere. Why do I need myD-Link account? Your myD-link account will allow you to monitor and control the activities of your Fam Cam. My FamCam does not seem to work, who do I contact? How can I avail a Fam Zone? The Fam Zone Box connects to your existing modem and will broadcast its own Fam Wi-Fi network. Follow the step by step guide to help you set-up and get started! Does it cover all devices in the house (gaming consoles, printers etc.)? How does the FamZone App control my kid's internet & device usage? If you need any of these functions to protect your kid/s, then a Fam Zone will give you peace of mind and help you provide your family with smart parenting options. What is a PLDT Smart Watch? How can I avail of the PLDT Smart Watch? You need a Telpad plan to fully utilize the PLDT SmartWatch. It is affordable to get peace of mind as parents. For as low as PHP 199 per month on top of your existing Home Broadband Plan you can track your kids wherever they are. Is the Smart Watch waterproof? The waterproof grade of this product is IP65, which can only protect the watch from splashing water. Do not wear your watch to swim, dive, or bathe. How accurate is the watch's tracking feature? Your watch will provide two kinds of positioning modes: GPS (global positioning system) and LBS (location-based service). Position accuracy will be different according to different positioning methods. All position information is only for reference in a certain range. Is the tracking feature of the watch free of charge? The position information and voice message will work based on the communication between the GPRS network and the cloud server. This means, GPRS connection will require data usages and may incur additional charge if you exceed the free data volume. How much is the free data volume? The Smart Watch comes with Call All with 60 mins calls to Smart, TNT, Sun and PLDT landline. It also comes with 50MB data. Are the materials of this product harmful to children? No the materials have passed a series of tests which can ensure safety of all users most especially your kids. Is my child's location information secured? Yes. The GPS (Global Positioning System) information from the server will not be used for any commercial application or development without authorization. With the Telpad, you can perform a wide variety of tasks, and enjoy a collection of multimedia content. You can browse the internet, use email applications, watch movies and videos, play music, take and edit photos, read e-books, access your social networking sites, play games, or download apps. Our latest unit is the Red Dockless Telpad. We also offer the Telpad MA7, HC7 & MT7. To learn more about our latest Telpad offers, visit our online shop via http://store.pldthome.com/product/telpad#plans. What is the technical specification of the Telpad? Enjoy the PLDT Home Telpad with it’s improved stability battery life and performance. To get the complete details of our Home Telpad, visit our online store via http://pldthome.com/telpad/telpad-units. What are the payment terms for the Red Dockless Telpad? It is easy to own our PLDT Home Telpad because no cash out is needed. An additional monthly amortisation will be charged on top of your monthly service fee for the next 36 months. Learn more about the Telpad Plan via http://pldthome.com/telpad. How much will I pay if I discontinue within the contract of the Red Telpad Dockless? 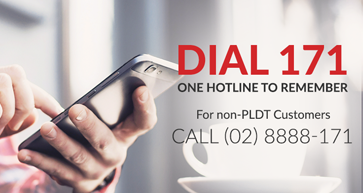 What is PLDT Landline Plus? The PLDT Landline Plus service is the instant and portable PLDT wireless landline service that allows you to bring and make unlimited landline calling anywhere in your local area. With this service, you can apply for a telephone line without hassle of installation or set-up. No wait and No wires. Insert the SIM to the slot in your device. Turn ON the phone to acquire a signal and follow some phone settings to enable the SIM. You may now start calling! What can I do with my PLDT Landline Plus? You can enjoy the same call types as a Regular Fixed Landline service – incoming and out-going calls, NDD/IDD, plus SMS! This is open to all new residential and business applicants with telephone requirements. How much will be the Monthly Service Fee and what do I get? What happens if I used up my FREE SMS? When you use up your free SMS, additional P1.00/ message charges will apply. What is PLDT CALL ALL service? The PLDT Call All Service bundles the Postpaid Main Landline and a Wireless Landline that allows you to make FREE and UNLIMITED landline calls to your Home Zone when calling from anywhere in the country. What does Home Zone mean? All you have to do is insert the PLDT Postpaid SIM into any open line cellular phone and use it like a regular line. It is that quick and easy. Can I bring it anywhere in the country? Yes. You can make and receive unlimited landline calls within or outside your Home Zone. Does it have an SMS feature? Yes. You can make and receive SMS to all network. Is it also with unlimited SMS? No. Only 60 SMS is free every month. Will I get charged if I exceed the monthly free SMS? Yes. You will be charged 1.00 per SMS sent. Are there initial fees to settle? TA one-time P100 Activation Fee to be billed on the 1st Billing Statement. Just add P250 on top of your monthly service fee. Lock-in period is Twenty-Four (24) months and a Pre-termination fee of P2,500 if cancellation is made within the lock in period. If you are upgrading your service, your application is subject to account validation and existing credit policies with in 24-48 hours. What is Unli Fam Call? The Unli Fam Call Promo allows subscribers to enjoy unlimited calls to five (5) nominated Smart/Sun/TNT numbers. This promo shall run from December 20, 2016 to June 30, 2018.
Who can avail the Unli Fam Call? The Unli Fam Call Promo is open to new and existing PLDT subscribers with DSL Plan 1299 and up. For as low as only P99/month on top of your monthly service fee you can avail of this service. Can I change the nominated numbers? Yes. Changing of nominated Smart/Sun/TNT numbers will only be allowed 1 month after the date of nomination. How can I change my nominated number? How to avail the Unli Fam Call service? What features do you have with your new Telset? Is this available in your Sales and Service Center? Yes, we have a display of these units at our Sales and Service Centers. For new customers, after choosing your plan, you may add-on a Telset in your service request. Apply online now and you will receive a confirmation of your order via email and SMS and then, our online sales processing team will handle your application with in 24-48 hours. For faster processing, fill out the required customer information, prepare and attach your government issued ID, and send a signed subscription certificate via email. All new PLDT Home subscribers shall be automatically enrolled in Paperless Billing as approved by the National Telecommunications Commission (NTC). With this, your paperless billing can be viewed 3-5 days after your bill cut-off date. For existing PLDT Home subscribers on paper bill, you will receive your printed bill within two weeks before your due date. Read more about how to go green and choose paperless billing. What are the important sections of my Statement of Account? Subscriber Name and Billing Address — On the upper left of your statement of account, you will see the name of the subscriber on record and the billing address. Billing Information — This is located on the upper right hand corner of your statement of account. This section will show your account number, telephone number, statement date and customer TIN. Billing Summary - This is located on the upper right hand corner of your statement of account. This section will show your account number, telephone number, and customer TIN. Payment Stub — When paying over the counter, you can show your payment stub to the cashier for their easy reference. To avoid service interruption, payment needs to be done on or before the billing due date located in your bill summary. Please be reminded that posting of your payment may have dependencies on the payment channel so we recommend for you to pay ahead of the due date to avoid inconvenience. For your reference check out the payment options available or you may see this information in Page 2 of your statement of account. Mark your calendars to avoid missing your due date! Why is my billing due date important? It is important for you to know your monthly recurring billing due date to avoid the hassle of having no internet when you need it the most. Set your calendar reminder so you don’t forget. We recommend for you to settle your billing on or before the due date to ensure the payments are posted in your next billing statement. What will happen if I miss my payment? You will be redirected to our payment reminder portal when you try to browse a website using an internet browser. Once you have paid your bill, reconnection is now made easy by calling our hotline and following the voice prompt leading you to our auto-reconnection option. Once the system has detected your payment, your internet service will be reconnected within 1 to 2 hours. Avoid the hassle of having no internet when you need it the most and ensure the that payment is made on or before the bill due date. How can I view my billing summary? If you don’t have a myHome Account, create one today and manage your account at your own convenience. Create a myHome account now. An email notification with your bill summary will be sent to you every month to your registered email address. In order to view the complete details of your bill, just select "View Billing Statements" and type in your password. As soon as your bill is available online, an SMS notification containing your bill summary will also be sent to you. To avoid missing the bill notifications, it is important to keep the contact information updated through our hotline 171. We have thousands of authorized payment channels nationwide such as alternative payment centers, banks over-the-counter, internet banking, auto-charge, ATM, phone banking, Smart Money. Find out the nearest and most convenient payment option for you click here to get the list of our payment centers. Why do I have pro-rated charges in my bill? In case you are wondering why you have pro-rated charges on your first billing, this is because your service order for upgrade/downgrade, transfer or reconnection of service was activated before or after your bill cut-off. This only means you are being charged for the proportionate pro-rated charges incurred upon activation of service order up to the cutoff of the bill. Your billing will normalize on your succeeding billing cycles. How do I know my PLDT account's credit limit? You may view your account credit limit by clicking on the Account Balance button on the sidebar menu of your myHome Account. The account owner shares the account credit limit and account member/s so their combined purchases cannot exceed the account credit limit even if they haven't reached their individual purchase limits yet. For example, owner A's account credit limit is P3000 and he assigns a purchase limit of P2000 to each of his 2 account members, B and C. If Owner A already consumed P1000 and B consumed another P1500, C can only consume up to P500 only. They will have to wait for the credit limit to refresh on the next billing cycle. How can I create my myHome ID? 1. Visit my.pldthome.com and click Create a myHome ID. 2. Enter your email address, first name and last name, and preferred password. 3. You will receive an email from PLDT Home. Click the link provided in the email to verify your account. 4. Link your PLDT Home account/s to begin managing your accounts online. How do I link my Account to my myHome ID? 1. Begin by entering your PLDT account number. *If you are having trouble linking your account: Call 171 to speak to one of our Customer Care Officer. 1. Go to my.pldthome.com then click Forgot Password. 2. Enter your myHome registered email address. 3. Click on the link included in the email sent to your email address then reset your password. How do I keep my myHome Account secured? To keep your PLDT account information safe and private, you should not share your myHome ID credentials with other people. If you share your myHome ID credentials, other people can purchase entertainment content and have it charged to your billing statement. Instead, you may add other people as members of your account so they'll be able to purchase PLDT content using their own myHome ID. 1. Choose the account you want to access by clicking Manage. 2. Click on the Account Members button on the sidebar menu. 3. Click Add New Member then provide the required information. *If the email address you provided is not yet registered to myHome, the system will inform you that the e-mail address you are registering to be your member doesn't have a myHome ID yet. It will be added to your member list but tagged as Pending Registration unless confirmed by the member. You can assign only 1 account manager and multiple product users per PLDT account. The account manager can also delete account members at anytime. What are the kinds of restriction I can assign to each member? Prevent bill shock since the purchase limit must be less than or equal to your PLDT account's credit limit. This will be refreshed every month. If the PLDT Account hasn't reached its total account credit limit yet, you may still purchase content even if you have already reached your assigned purchase limit. Account owner shall be notified for approval. You have assigned a purchase limit of P0 to this member and he/she is trying to purchase a paid content. The member is restricted to purchase content with adult themes and languages. Can I edit a member's profile? Can I retract my purchase request? I heard about the MVP rewards what is it about? The MVP (Most Valuable Partner) REWARDS is the new program offered by PLDT Home, SMART, SUN and TNT customers. This rewards program is for your continued loyalty and support over the years. As a Most Valuable Partner, you can earn cash rebates not only for your PLDT Home account but other accounts under the MVP Rewards Program under one wallet through your MVP Card powered by PayMaya. To learn about how to become a member and enroll your accounts today, visit pldthome.com/mvp-rewards . I enrolled my PLDT account to my MVP Rewards, what is the status Pending Verification? Letter of authorization from the subscriber on record of the PLDT Account authorizing the enrollment to your MVPRewards account. An SMS will be sent for validation within 48 hours. Letter of request to enroll your PLDT Home account to your MVPRewards. 3. You may have overlooked your account and have outstanding balance. To complete your enrollment, please update your PLDT account. I registered to MVP Rewards, how will I know that registration is successful? You should receive a welcome SMS in your registered mobile number upon successful enrollment of your account. I have successfully registered to my MVP Rewards. How do I access my PayMaya account? Download the PayMaya app through Google Play for Android or App Store for iOS. Register to PayMaya with the mobile number you used for your MVP Rewards Registration. Go to 'View Card' to download your virtual card. How can I change my mobile number registered to MVP Rewards? Your MVP Rewards account is linked to the mobile number registered which means if you want to unlink this or use another mobile number we would be glad to assist you. Please send your request at MVPRewards@pldt.com.ph and provide Government issued Valid ID , your old and new mobile number for updating. How can I edit my name in my MVP Rewards Account? You can correct your name by sending an email to MVPRewards@pldt.com.ph provide the mobile number used in your MVP Rewards registration with your Valid ID (Government issued id) and we will be happy update it for you. How can I unenroll my PLDT account? You may send your request to MVPRewards@pldt.com.ph and we will be glad to assist you. Where can I check the deals and privileges offered to MVP members? Can my MVP Rewards enjoy the deals and promos offered by PayMaya? Yes. Your MVP Rewards is powered by PayMaya so that means you can enjoy the privileges. How can I load up my MVP Rewards Card? There are different ways to load credits or money into the card via Robinson's Department Stores, SM Business Center, Smart Padala, Smart Wireless Center, 7-Eleven, Touch Pay Kiosks, Union Bank ATM. What is my virtual card for? You can use your virtual card to pay for online purchases or as a show card to avail of exclusive deals and privileges or use PayMaya’s QR code feature for cashless payments. What is Home Rewards ? This is your Rewards System which can earn you points if you pay your PLDT bill before the due date. You earn points through your SM Advantage Card (SMAC), SM Prestige Card or BDO Rewards Card. All you have to do is register your SM/BDO card and link it to your PLDT Home Account Number. I am an existing Home Rewards member, am I eligible to enroll my PLDT Home account to the MVP Rewards Program? How can I earn points for the Home Rewards? You will get one (1) point for every P250.00 worth of paid bill in your SM Advantage/ SM Prestige/BDO rewards card provided that payment has been made to your PLDT bill in full and within due date. There will be no point(s) awarded for partial payments or payment made beyond the due date. How many PLDT accounts are allowed to register in one SM Advantage Card (SMAC)? I have no internet connection using my Fibr/DSL/Ultera service. Make sure that you are up to date with your account and you have no outstanding balance. If you are using an internet browser, make sure that you are not using a Proxy server. This can be checked in your browser settings. For Safari: Click System Preferences > Click Network > Click Advanced > Click Change Settings under Proxies > Make sure all boxes are unchecked. For Firefox: Go to Menu > Click Options > Click Advanced > Click Network tab > Click Settings under Connection > Make sure No proxy is selected. Check the power and LED indicators of your modem; the color must be green and should be steady. If lights are off or the LED indicators are blinking, please make sure the cables of your modem are properly connected. Perform a power cycle by turning your modem off for 5 minutes, and back on to re-sync your modem with our network. My internet connection is slow when using my Fibr/DSL/Ultera service. Multiple and simultaneous internet usage with activities such as heavy downloading, video streaming, online gaming, apps with auto-updates, etc. The specs of your PC, laptop or mobile device may not be compatible with the speed of your plan which does not allow you to attain the maximum speed. You may consult with your personal technician on how to optimize the performance of your device. Your connection to your Wi-Fi modem may be interfered by household electronic appliances (microwave, cordless phone, etc.). You may be too far away from your modem or there are physical obstructions affecting your connection. Make sure that your connection to your Wi-Fi modem is clear from any obstructions. If you are using an internet browser, add-ons such as multimedia add-ons, search bars, etc. may affect the performance of your internet connection. You may try disabling them. After checking on 1-4, perform a power cycle by turning your modem off and then on after 5 minutes to re-sync your modem with our network. After 20 seconds or the modem has fully initialized, perform a speed test by going to http://www.speedtest.net and select the nearest PLDT server in your location. Then click Begin Test. The results should show you your download and upload speeds. You should at least be getting 80% of your subscribed download speed. If you are able to get the subscribed speed but you are still experiencing slow connection, try deleting your browser history, cookies and cache. I cannot open specific websites. Double check if you entered the right URL. The website might be inaccessible because it is down or you can try another device or internet browser. Check your device’s internet browser settings. Make sure you’re not using a proxy server. If you have an Anti-Virus this may prevent you from browsing some websites. I cannot connect to my Wi-Fi modem. Please make sure that you are connected to the right Wi-Fi name and have entered the correct password. If you encounter "Authentication Error," please click on forget button then select the Wi-Fi name and type the correct password. Perform a power cycle by turning your modem off and then on after 2-3 minutes and try again after 20 seconds or after the modem fully initializes. Look for a small hole on your Wi-Fi modem. It is usually located near the power button. Using a pin or needle, gently press the button inside the small hole and hold for 5 seconds. Once your Wi-Fi modem restarts, connect it to your PC or laptop via a LAN cable. Once you have opened the Wi-Fi modem User Interface, log in using the default username and password which can be found at the back or under the modem. Upon logging in, you may personalize your Wi-Fi modem name (SSID) and set your new password. What can I do with my Roku Powered™ TVolution if the image is not displayed properly and I am seeing color distortion or color bars? Make sure the Roku Powered™ TVolution is securely connected to the HDMI port on your TV. Then go to Settings, Screen resize setting to change the parameters. If the problem persists, the HDMI cable may be damaged. Please replace the HDMI cable. If this did not resolve your issue, please call our Hotline by dialing 171 or online through our Facebook Page and one of our customer care officers will be glad to assist you further. Click here to know more about how to contact us. What can I do with my Roku Powered™ TVolution if the image is displaying properly but there is no sound? If there is no sound, please check that your TV and Roku Powered™ TVolution are not on mute and the volume has not been turned down too low. What can I do if I cannot pair my remote control with my Roku Powered™ TVolution? Check that the batteries have sufficient power and are installed correctly. If the problem persists, the Remote Control may not be compatible with your Roku Powered™ TVolution, make sure to use the one provided by PLDT. What can I do if the remote control of my Roku Powered™ TVolution is not responsive? If your Roku Powered™ TVolution remote is not responsive, please check that the batteries have sufficient power and are installed correctly. You should stay within 8 meters of the Roku Powered™ TVolution unit. What can I do if I cannot access the Internet with my Roku Powered™ TVolution? If your Roku Powered™ TVolution is unable to access the internet, please make sure you have entered the correct password for the wireless network. You may try to disconnect the Roku Powered™ TVolution from the power supply and restart it. What can I do if my Roku Powered™ TVolution cannot detect a USB flash drive or microSD card connected to it? Try reconnecting the USB flash drive or microSD card to your Roku Powered™ TVolution. If the problem persists, disconnect the TVolution unit from the power supply and restart it. What can I do if I cannot download iflix app on my iOS or Android device? First, check that you are logged in to the App Store or Google Play. Make sure that you have enough space on your device. You might also want to check if you are using a supported device and operating system. What can I do if my iflix app keeps crashing? Make sure your device is connected to the Internet. You can close and reopen the app, reboot your device, or delete and reinstall the iflix app. My Netflix is not working. Troubleshoot your Netflix through its comprehensive customer support references. Click here for your Netflix concern. Why is the video not loading on Android / iOS app / laptop /desktop? Make sure your device is connected to the internet with excellent connection. Check if your subscription is still active. Why is there no audio in the show? Follow these simple troubleshooting steps if Fox+ audio is not audible. Make sure the audio on your device is not on mute. Make sure the audio on your player is not on . Delete and reinstall the FOX+ app. Why is there no video in the show? What can I do if my iWant TV video isn't playing? For app users, ensure that you have the latest iWant TV app version. Go to the App Store or Play Store and search for iWant TV. Click on the Upgrade button if it's available. Sometimes a device reboot is all it takes. Try restarting your phone or computer and ensure that you have fast internet connection. Make sure that you are up to date with your account and you have no outstanding balance. Check the status of your account through your myHome Account. Check that you have full signal where you are using the service and that the SIM is properly inserted. Ensure that you are connected to the correct Wi-Fi name and that you have entered the correct password. For Internet Explorer: First go to Internet Options, then Click 'Connections' tab. Click 'LAN Settings'. Use automatic configuration script and make sure that 'Use a proxy server for your LAN' should be unchecked. For Google Chrome: First go to Setting then click 'Show advance settings'. Under Network, click 'Change proxy settings' and then click 'LAN settings'. Use automatic configuration script and make sure that 'Use a proxy server for your LAN' should be unchecked. For Safari: First click 'System Preferences' and then click 'Network' and then click 'Advanced'. Click 'Change Settings' and then under 'Proxies,' make sure all boxes are unchecked. For Firefox: First, go to 'Menu' and then click 'Options'. Click 'Advanced' and then click 'Network tab' and then click 'Settings' under Connection. Make sure 'No proxy' is selected. I cannot send or receive SMS, make outgoing calls or receive calls. Turn your mobile device off and remove the SIM, then reinsert and turn it on again. If you have low signal reception, try shifting locations, preferably somewhere more open and with less surrounding obstacles such as concrete walls. Make sure your handset is internet-capable and mobile data feature is turned ON. For LTE data connectivity, make sure that LTE feature is turned ON. Clear your internet browsers cache and browsing history. Go to Network Mode setting and lock it to 3G/WCDMA/HSPA/HSPA+ or LTE/4G, whichever is applicable. Refresh your handset by turning it OFF and then back ON. Check if Internet/MMS setting is properly set in the phone setting. For 3G data connectivity, lock the devices Network Mode to 3G, if available. If phone network mode is set to Auto, this may cause slow to no connection if phone would shift signal often. For LTE data connectivity, ensure LTE feature is turned ON or that Network Mode selected is LTE. Transfer SIM to other working device to check if SMS will work. For postpaid, SIM cards issued in 2010 and earlier are not LTE-ready yet and will require SIM replacement. I have a problem with my iPhone unit where can I get help? To get help troubleshooting your iPhone, please visit http://www.apple.com then click Support. You may also visit the nearest Authorized Apple Service Center. Click HERE for the list. If your iPhone is still within warranty, you need to first get a Mobile Certificate at any PLDT Sales and Service Center before going the any Authorized Apple Service Center. Click here to know more about how to contact us. Try also turning your mobile device off and remove the SIM, then reinsert and turn it on again. I have a problem with my Samsung unit, where can I get help? To get help troubleshooting your Samsung mobile device, you may visit http://www.samsung.com/ph/ then click Support. If troubleshooting your device did not resolve the problem with your unit, first thing to do is to visit the nearest PLDT Sales & Service Center click here to find out the store nearest your location. If your Samsung mobile device, is found with inherent factory defect, it is covered by a 7-day replacement warranty at any of our PLDT Sales and Service Centers. Please note that an authorized Samsung Service Center will need to diagnose the device and declare that it has a defect. To get information on nearest Authorized Samsung Service Center. Click here. Why can't I configure my Wi-Fi Repeater? Troubleshoot your Wi-Fi Repeater by following this guide. First, check the device power. Make sure that the Wi-Fi Repeater is turned on while configuring. Just click the Wi-Fi Protected Set Up (WPS) Button and make sure that the LED lights are on. Why is my Wi-Fi Repeater not working? Plug in the Wi-Fi Repeater and wait for the status indicator to show steady blue then proceed to Wireless Connection set-up. Click the signal bar in the lower right corner of your desktop. From the wireless network list, select the PLDTHOMEREPEATER. Click Connect and then in the displayed dialog box, enter 1234567890 for the password and click OK. In the wireless network list, check the WLAN connection status. If the status is Connected, the computer is wirelessly connected to the Wi-Fi Booster. Why can’t I find the HOMEDSLWIFIREPEATER SSID? Perform a hard reset on the wireless extender. Use a pin to push the button inside a small hole near the power button. Once done, try searching again. Perform a power cycle by turning your modem off for 20 seconds and then turning it back on. Make sure that you are connected to the correct Wi-Fi name and have entered the correct password. Look for a small hole on your D-Link router. It is usually located near the power button. Once your D-Link router restarts, connect it to your PC or laptop via a LAN cable. What can I do if I cannot install the remote control application for the Telpad or Android Phone? First thing you need to do is to make sure you completely remove any pre-existing remote control application. Then download the application and install it again. What should I do if there's no dial tone when I use my Telpad phone? Please make sure that the phone connector is properly inserted in the modular box. Remove any peripheral equipment or extension phones and connect the Telpad phone directly to the modular box. Try a different telephone unit, if possible, to check if it's a line problem. What should I do if the Telpad dialer cannot make a call? Follow these simple steps to troubleshoot your Telpad:. Please check if there is a dial tone. If there is none, check your phone cable connection and make sure it is properly connected. Look at your screen and make sure that the dialer is set to Line 1 otherwise, touch the Line 1 button. Make sure that the screen is showing the message Telpad is on the dock. What should I do if my Telpad does not turn on? Please press the tablet's power key and check whether the Telpad logo appears on startup. If the Android tablet doesn't launch, connect the tablet to the power supply through the phone set. What should I do if there is no audio response in the Telpad handset? Check if the coiled cable is properly connected. Unplug and re-plug the coiled cable to eliminate the possibility of a loose connection. Why can't I dial using the handset keypad when the Telpad tablet is docked? The Telpad tablet dialer is the primary phone. Thus, when the tablet is docked, the handset keypad will be automatically disabled. 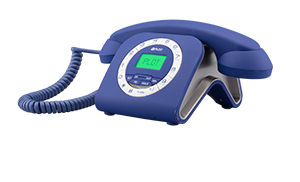 The handset acts as a secondary phone and can be used when the tablet is not docked, or when you are experiencing power outage and cannot use the tablet to call. How come the apps I downloaded from Google Play store do not appear on my Telpad? How come my download from Google Play fails on my Telpad? What should I do if the SD card of my Telpad is not detected? Please check if the Micro SD card is inserted properly. Try to unplug and re-plug the Micro SD Card. You may also restart the Telpad if steps 1 & 2 did not work. My Fam Cam’s Live Video is delayed. What should I do? If you are running other bandwidth-heavy tasks, such as downloads, peer-to-peer applications, or audio/video streaming, this may cause the camera video feed to be delayed. To improve the quality of the video feed, close or stop any bandwidth-heavy applications when viewing your Fam Cam’s Live Video. The Smart Watch is not charging. What should I do? Please make sure that the gold terminal at the back of the watch are properly connected to the gold contact terminal of the charger. What can I do if I have no connection between the Smart Watch and an Android device? Make sure that the Smart Watch is connected via Bluetooth and within the range of the Android device that you want to connect to. A maximum distance of 10 meters (33 feet) with no solid objects in between is recommended. How can I optimize the battery life of my Smart Watch? You can try changing the screen brightness setting and lower it down. Try also disabling the vibrate mode if possible. What can I do if the camera remote from my Smart Watch is not working? To use this feature, please download Google Camera application from Play Store Market using your smartphone. What can I do if the voice control from the Smart Watch is not working? To use this feature, please download the Voice Search application from Play Store Market using your smartphone. What can I do if my Smartphone cannot detect the Smart Watch via Bluetooth? From the Smart Watch go to Settings, make sure that Bluetooth is turned on from the option and check the visibility mode and ensure that is turned on as well. Why does my Smartphone’s microphone and earpiece become inoperable during calls while my Smart Watch is connected? This is because upon connecting the watch to your smartphone the watch will disable the microphone and earpiece of the smartphone automatically. The watch now will activate its built in microphone and earpiece so you can use it. Why can't I track the location of the Smart Watch? Ensure that the SIM card of your Smart Watch is inserted properly. Check the signal reception as you maybe in a location with low signal. Why is my Smart Watch not charging? First check and clean the charging port. Make sure charging port is not corroded and/or covered with dirt. You may also check for any damages in the charger cord. If there is damage on the cord, bring the hardware to the nearest PLDT Sales and Service Center (SSC). Click HERE to find out the nearest SSC. What should I do if my Fibr landline has no dial tone/incoming/outgoing, static, or has crosstalk? Make sure that your modem and VOIP LED lights are on. Ensure that the telephone wire is inserted to Phone 1 slot at the back of your modem. Also make sure that telephone unit is away from any electronic devices to experience high quality of call. My landline has no dial tone/incoming/outgoing, static, or has crosstalk? Ensure that the phone wire is properly inserted to the splitter & the right wires are plugged to the back of the phone & the phone socket. If you are using a wireless phone, check that the phone's battery is low. Check that the ringer is on & volume turned up. Try calling your number from another phone. Check the phone's volume that it is not too low that incoming audio is affected. Try unplugging the phone line from the wall jack then plug it in again. Wait until the Power and PON led light indicator turns solid green. WLAN pulses green indicating that it’s ready to connect. From the dsl port of the splitter, connect the telephone wire ( RJ11) to the dsl port of the modem. Plug in the power supply and turn on the Wi-Fi modem and press the WLAN button to enable it. Wait until the Power and ADSL led light indicator turns solid green. WLAN and internet light pulses green indicating that it’s ready to connect. How do I connect my wireless device to the Wi-Fi network ? Turn on the Wi-Fi of your device/gadget. From the available networks, select the correct network name of your modem and enter password. The default Wi-Fi name and password is indicated at the back or side of the modem. If you have personalized your Wi-Fi name and password, just connect to your Wi-Fi name and enter your password. If successful, signal strength will be shown at the upper portion of your device and you are ready to surf the net! How do I connect to my modem via LAN? Connect the Ethernet cable from the LAN1 port of your modem going to the LAN port of your CPU or laptop. Check for the LAN icon on your PC or laptop if you are successfully connected and open your browser then you are ready to surf the net! How do I set up my Whole Home Wi-Fi? Go to the Google Play Store or the Apple App Store and search for the Deco App. Ensure that Bluetooth on the mobile device is ON, and does not time out. Follow the on-screen instructions within the application. Get the Ethernet cable, and plug the Deco M5 to the modem/router. Get the power cable and turn on the power on both the Deco M5 and the modem/router. The Deco LED will pulse blue, indicating that it is ready for pairing. Click next. “Deco is now pulsing blue”. The Deco will now establish connection to the internet, sync settings and check for updates. Set your preferred Wi-Fi network name and password. Do the same procedures when adding additional Deco M5 in the network. Visit www.pldthome.com to create your myHOME account. Plug in your ROKU device to 220V power supply. Connect the HDMI cable from your ROKU Powered™ TVolution to the HDMI slot of your TV. Go to the menu of your TV and select the correct source to display the Roku Powered™ TVolution's set up wizard. Select the correct Wi-Fi name and enter the correct password. Accept the terms and condition; then you will be given the activation code. From your PC, smartphone or tablet, go to www.pldthome.com/volutionactivation to enter the code. you will now be redirected to ROKU Powered™ TVolution's home screen. YOU CAN NOW START WATCHING! How do I set up my Cignal? Turn off your TV and start connecting your Set Top Box (STB). Plug in your HDMI cable to your TV and the other end to the STB. To enable IPTV, get your Ethernet cable and connect it to the LAN4 port of your modem going to the LAN port of STB. Insert the SIM card which is paired to your STB. Plug in the power supply of the STB and turn on your TV. Please follow the settings and configurations shown in your TV and Finish. Enjoy watching! How do I set up my iFlix? How do I set up my Netflix? Visit www.pldthome.com to create myHOME account. Log in your myHOME account. Click on Entertainment tab and select Netflix banner then click on Register Now button. Enter the validation code received in the registered cellphone number. Go to Manage Account and accept the terms and conditions. Choose the plan that's right for you and confirm the payment method charged to your PLDT account. You will be prompted to sign up to start your Netflix subscription. You can start using Netflix! How do I set up my Fox+? Log on your registered email and password. Go to https://pldthome.com/fox and register for the trial. Click start watching to begin streaming. My free trial is over, how do I renew my subscription after trial? Select PLDT as your service provider. You may now enter your myHOME account and confirm subscription. How do I set up my iWant TV? Click on myHOME account to create myHOME ID. Email notification will be received containing the voucher code and how to redeem it. How do I set up my Pocket Wi-Fi? Turn on the Pocket Wi-Fi. Using your device (PC, laptop, mobile), connect to the default Wi-Fi name and enter the default password. The default Wi-Fi name and password can be found on the Pocket Wi-Fi device. Once connected, open your device’s internet browser then type the IP address provided in the product manual and press Enter. On the log-in page, type the default username and password and click Log in. The default username and password can also be found in the product manual. Select "Quick Settings" and then "Next." Change the Wi-Fi name to personalize the device name and click "Next." Type the desired password then click "Next." Click the "Apply" button to finish. All is set! How do I set up my iPhone? Turn on your device. You’ll see "Hello" in many languages. Press the Home button to unlock your device and begin setup. Activate your device. You’ll need to connect to a Wi-Fi network, cellular network or iTunes to activate and continue setting up your device. If you have an iCloud or iTunes back up, or an Android device, you can restore or transfer your data from your old device to your new iPhone. If you don’t have a backup or another device, select "SET UP AS NEW PHONE". Sign in with your Apple ID and set up iCloud drive. Enter your Apple ID and password, or tap "Don’t have an Apple ID" or forgot it. From here, you can recover your Apple ID or password, create an Apple ID, or set it up later. Set up Siri. Choose whether to use Siri or not. Choose settings on display resolution and set up how your information will be shared to apps. Tap "Next" to continue. Finish up. Tap "Get Started". You’re all set. Congratulations! You may now start enjoying your new iPhone. How do I set up my Samsung? To power on, press and hold the Power Button until the Samsung Galaxy S8 screen appears then release. Tap the appropriate language then tap Next (located at the bottom). From the "Got another device?" screen, select "No thanks" then tap "Next." From the "Add your account (Google)" screen, tap "Skip." Note Once setup is complete, refer to Add an Existing Google Account or Create a New Google Account. From the "Skip account setup?" pop-up, tap "Skip." From the "Google services" screen, tap any of the following service switches to enable (in the blue position) or disable (in the gray position) then tap "Next." se Google's location service to help apps. Help improve your Android experience. From the Name screen, enter the first and last names then tap "Next." From the Protect your phone screen, select "No, thank you" then tap Skip. From the Wizard summary screen, tap “Done” (located at the lower right). From the ready to go screen tap “Got it”. You may now start enjoying your Samsung S8. How do I add an Existing Google Account? Note: Enabled when a check mark is present. If presented “Set up payment info”, tap “No Thanks” then tap “Continue” (located in the lower-right). You are done setting up your Google account. How do I create a New Google Account? From the Home Screen, touch and swipe up or down to display all apps. Enter then re-enter the preferred password then tap “Next.” (The password must be at least 8 characters. Tap “Agree” (located in the lower-right) to accept the terms and conditions. How do I set up a payment info after adding a Google account? Tap “Continue” then select a payment method. Turn on your modem/router and press the Wi-Fi Protected Set up (WPS) button for 3 seconds. The WPS LED indicator will blink for 2 minutes, indicating that it is ready for pairing. Plug in the Wi-Fi repeater, and press its WPS button. The WPS LED indicator pulses while it connects to the modem. The WPS LED should go from flashing to solid, indicating that WPS connection was successful and then will go off after 5 minutes. Launch a web browser, type http://tplinkrepeater.net or http://192.168.0.254 in the address bar. Create a password for future login attempts and click Start. Enter the network name and password of your modem/router. Then enter the preferred password of your repeater and you are ready to go. Enjoy Surfing! How do I set up my D-Link DAP 1620? Plug in your Wi-Fi Repeater and wait till the Status/WPS LED is blinking Amber. Press the Modem/Router WPS button for 3 seconds until you see a yellow light that will be blinking. This takes around 2 minutes. Press the WPS button on the Wi-Fi Repeater, the Status/WPS LED will start to flash green. The Status/WPS LED will turn solid green when the Wi-Fi Repeater has successfully connected to the Modem/Router. When the connection is established, you may now connect to the extended network of the Wi-Fi Repeater using the following network name (SSID) shown below. The Wi-Fi password for the Wi-Fi Repeater extended network will be the same as your Modem/Router’s wireless password. How do I set up my D-Link router? Connect Fiber Cable to ONU Modem. Connect Clients/ Users to the access point router via LAN or WIFI: open the web browser and type https://192.168.0.1 to open the login screen. Use default username and password found in the packaging. Download the DLINK QRS Mobile app in Google Play or Apple App Store. Configure new SSID & assign new password. Connect your devices to the internet and you are now ready to surf the net! How do I set up my Telpad? Place your tablet to the docking station and let it charge until it is full and then you are ready to use your Telpad! How do I set up my Fam Cam? Download the "mydLink" application from Google Play Store or Apple App Store. Log in to your myD-Link account or create a new one. Add a device. Use QR Code if device has one otherwise select No. Plug in the power adapter to your power outlet. Make sure your bluetooth on the smartphone is enabled. Choose the same Wi-Fi network as the smartphone. Wait until binding of camera finish. Once successful, the LED will turn solid GREEN. The camera is now added to the mydlink account and ready for viewing. Please go to mydlink app to view and manage your camera. Set up is complete! How do I set up my Fam Zone? Take the FamZone box and plug the Ethernet cable into the blue port. Plug the other end into any LAN port of your existing modem. Plug the power adaptor into a power socket and press power button. The lights on the front of the box will light up as it connects to the network. Open the email notification sent to your registered email address and click the ‘Get Started’ button. Enter your preferred password and other required information. Your FamZone account is already active and you may register your family members and their devices and start managing your account policies. Connect your devices to the FamZone Wi-Fi network then filtering/restriction policies apply. How do I set up my Smart Watch? Download and install the MOVE TIME app from Apple App Store or Google Play Store when you are using a smartphone or tablet. When using a Telpad, download the app from KnAPPsack. Launch the app then register an account. Log in with your registered email address and password to get your verification code. Enter the verification code on the app. Tap “Add” from the “Add Watch” screen and input the IMEI number to the app information bar and confirm. Note: The IMEI number is located on the sticker on the strap or on the box. The server will send a random code to your watch, input the code and click confirm. You can now manage the watch. Note: Please make sure that the PLP SIM is inserted to the watch and has data connection when conducting the set up. The “G” icon should be displayed next to signal bars of the watch. How do I set up my PLP? How do I set up my Call-All? How do I set up my Unli-Fam Call? Sign in to myHome with your registered email address and password. Select the linked account and click on Manage. From the menu on the left, click Packages and Subscriptions then select Unli Fam Call. Click Add New Number to set your 5 SMART/TNT/SUN mobile number. Don't forget to click Save. You will receive a confirmation if you have successfully updated your Unli Fam Call calling circle. You may now start calling! How do I set up my Telset? Get your RJ11 Telephone wire. From the wall jack or connecting block, plug the other end of the cable to the phone slot of Telset. Your Telset is now ready to use! Interested? Here are the requirements that you have to prepare. Get the latest news, events and offers or get answers to your questions. Follow @PLDTHome to get the latest news, events and offers. Follow @PLDT_Cares to get help. Find the nearest PLDT Payment Center for your convenience.